Woodland theme napkins, perfect for your little boy or girl birthday or baby shower. 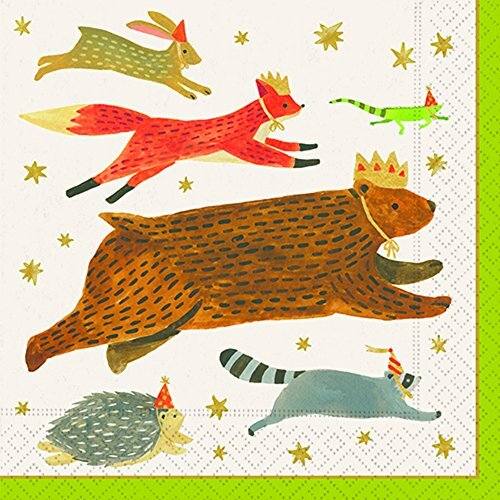 The cutest Bear, Fox, Rabbit, Hedgehog, and Raccoon wearing party hats to celebrate the event. If you have any questions about this product by Bunco Game Shop, contact us by completing and submitting the form below. If you are looking for a specif part number, please include it with your message.